HAKAINDE Hichilema has accused Government of failing to prudently manage the economic affairs of the country for accepting a tough International Monetary Fund road map that includes supervising Zambia’s 2017 national Budget and medium term plans. Mr Hichilema, who is the UPND president, has charged that the announcement by Government that Zambia needed the International Monetary Fund programme in the implementation of the 2017 budget was an indictment on what he termed Patriotic Front (PF) poor leadership. Mr Hichilema said the PF as the party in Government should have realised the ‘‘folly of their economic policies’’ which he said had forced the country to agree to the unprecedented IMF conditions on the implementation of the 2017 budget as well as macro and fiscal plans. He said in a statement yesterday that the prospect of an IMF package for Zambia was a serious matter with significant economic consequences for citizens especially the most vulnerable of the population. Mr Hichilema recalled that the first time Zambia underwent an IMF programme was soon after 1991 when the MMD came into power to replace the UNIP regime and the period was ‘‘economically excruciating’’. The UPND leader said Zambians who lived through the days of the last IMF deal would remember the pain of the measures that came along with the IMF agreement which resulted in many job losses and closure of companies. Mr Hichilema said Zambia was blessed with many great natural resources that could be tapped to drive the country’s economic growth and development but wondered why Government had continued borrowing. “The prospect of an IMF package is a very serious matter with significant consequences for the Zambian people, particularly the most vulnerable. 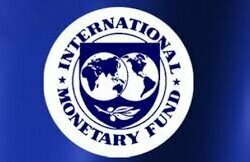 The first time the country underwent an IMF programme was soon after 1991 when the MMD came into office after the failed UNIP regime. “Those who lived through the days of the last IMF deal will remember the pain of many of the measures that came along with the deal, notably those resulting in job losses and company closures,” Mr Hichilema said. Mr Hichilema claimed that ‘‘poor planning, wastefulness and thoughtless spending’’ on the part of Government had reversed what had been achieved when the country was placed under the Highly Indebted Poor Country (HIPC) programme. He claimed Zambians should brace themselves for harder economic times should the PF be retained into Government after the 11th August general elections.